Without the right equipment, removing snow can be a back-wrenching experience. At Flaman, we want you to be able to take care of the massive quantities of snowfall prone to Western Canada in a timely fashion, allowing you to return to more important matters at hand. We sell a range of snow blowers from Farm King and Schulte, brands known for their quality and reliability. 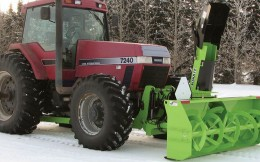 Our Farm King PTO snow blower models range in size from 50” to 108” and are the result of over 40 years experience building equipment designed to last in tough conditions. 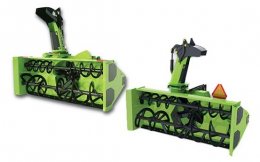 They feature aggressive blades on a paddle-style auger that can easily work through heavy, packed and wet snow. 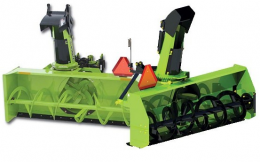 From Schulte we offer a range of models varying in size from 84” to 117” that feature rotating drums allowing snow to be ejected from the left, right or center chute. Their high-grade steel replaceable cutting blade will provide many years of trouble free snow removal. 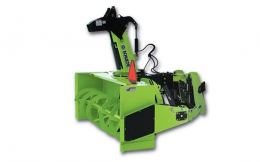 For added convenience, we also carry the FM300; an attachment that allows you to easily mount your 3pt snow blower on the front of your tractor instead of its rear hitch. This means better visibility, improved performance and comfort. We are not strangers to snow in Western Canada, which is why we are proud to provide a variety of snow blower options for you to choose from. Visit one of our 9 locations across Saskatchewan, Alberta and Manitoba to chat with one of our Equipment Experts to find the best snow removal solution for you, or to learn more about our full line of farm implements.